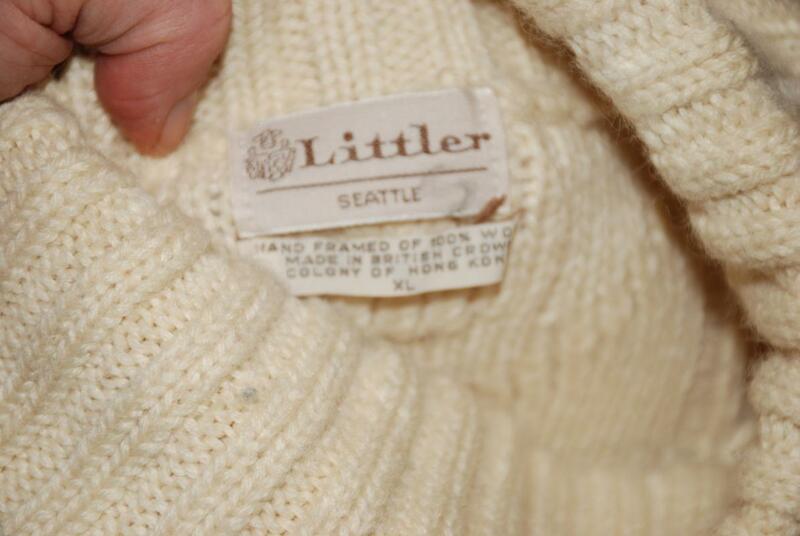 Irish Fisherman Style Pull Over Sweat by Littler 100% Wool XL. . Littler is a long standing very high end clothier in Seattle. Sell only the best. 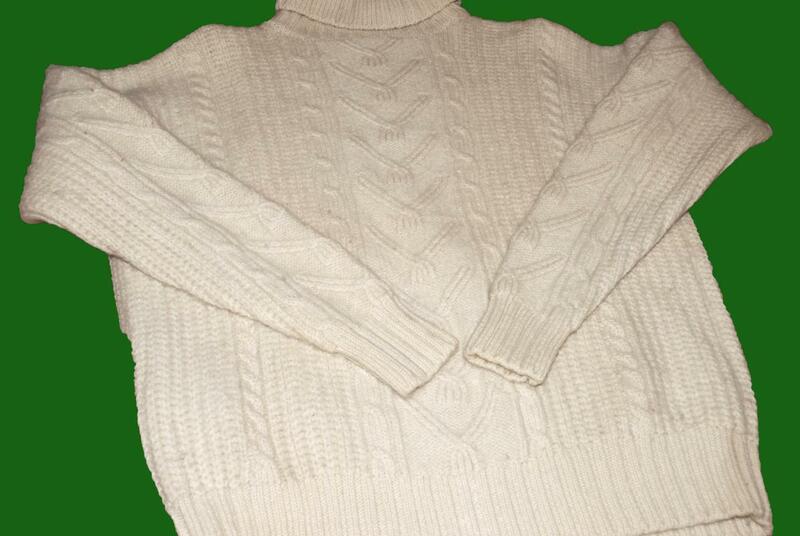 This sweater is amazing with the traditional Aran cable knit. 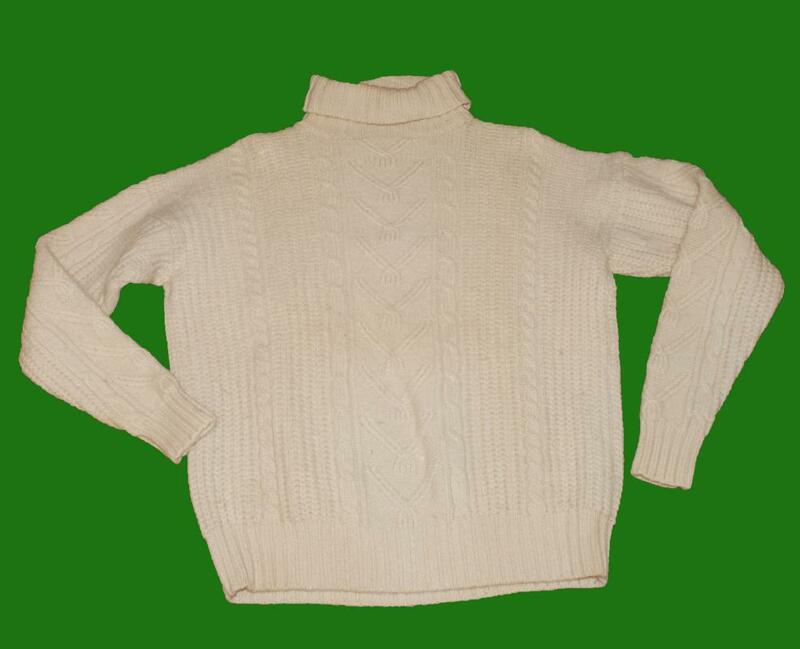 It thick and warm, The knit is tight. It is very soft. The tag says it is " Hand Framed". 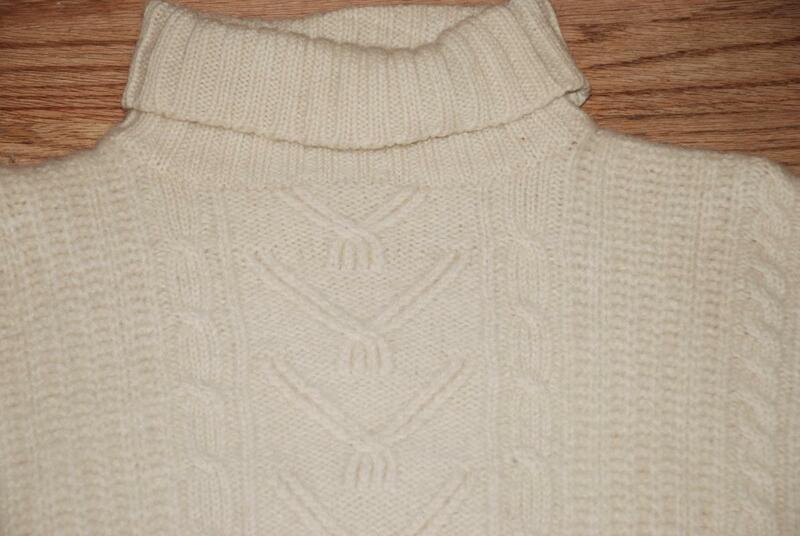 The condition is very good but there was a hole that I repaired that was near the edge of the top of collar on the back side. Other then that there are no other issues.